I’m excited. I love a good Festival and am proud to say that in Sydney, we’ve become pretty reliable as awesome Festival-runners. I say ‘we’ using the royal plural, of course, as I do nothing more than buy some tickets from time to time and turn up to be entertained by super-talented people. So last weekend when I was at the Opera House with my mum seeing The Pearlfishers (one of my all-time favourites – sooo beautiful), I noticed a collection of newspaper-like ads for an upcoming festival. 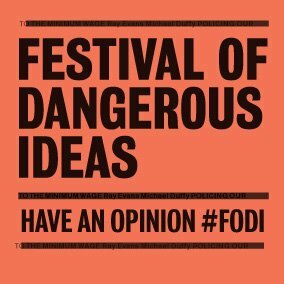 The Festival of Dangerous Ideas. It’s on at the Opera House from 28-30 September and the topics are thought-provoking, to say the least. “Have an opinion” is the request / demand of the curators, although if you don’t yet have one – am sure there will be plenty on offer for you to borrow. 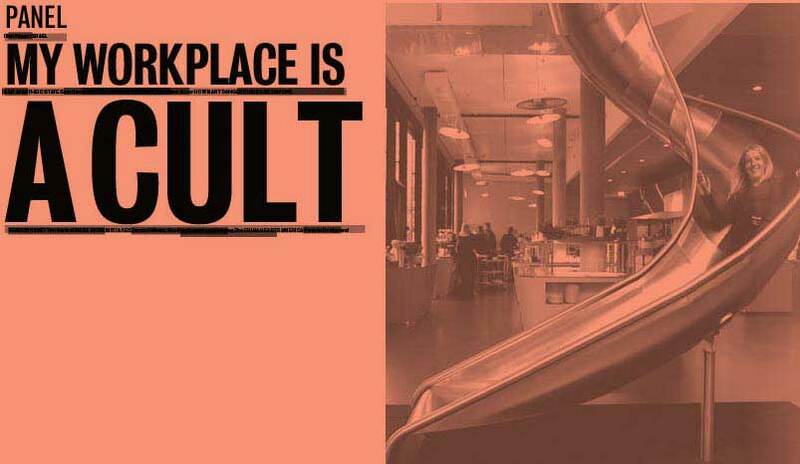 Then there’s the topic guaranteed to set HR professionals’ hearts a-flutter: My Workplace is a Cult. The speakers are a journalist and the Creative Director of Google’s Creative Lab in Sydney. Make of that what you will. They ask: “Are you expected to devote inordinate amounts of time and energy to your work? Do you spend more time with your work colleagues than anyone else? Has your work taken over your life?” I’m guessing that most people would nod along in agreement, so I’m intrigued to hear the proposed solutions to “set us free”. I’ve interviewed with a few cult workplaces in my time – #1 was a firm that I’ll call Flandersen Consulting, which has since morphed into a different organisation (and perhaps that says a lot), back when I was a fresh uni graduate. They even took 50 of us from around the country (and a few from NZ) to a beachside ‘conference’ where they convinced us we were Leaders Of The Future, who should undoubtedly join their firm. To harness our combined super powers, I guess. It’s a memory that’s seared in my brain – after I asked some frank 20 year old kinda questions (I’m sure they weren’t actually that confronting) in one formal interview, the next meeting I had with them began with the very senior female interviewer picking a post-it from my file as if it were gum on her high heeled shoe and saying slowly, I understand that you have some concerns with the Andersen lifestyle. Uh huh. That was probably a sign that it wasn’t for me – well, that and two other things: every time I visited, the firm’s elevators were full of eerily similar looking Barbies and Kens in conservative navy or grey suits; and a selling point was that they often worked ’til midnight, but at 9.30pm, someone would say, “hey, let’s order pizzas”. And they would. Crazy kids. Anyways, back to the Festival. 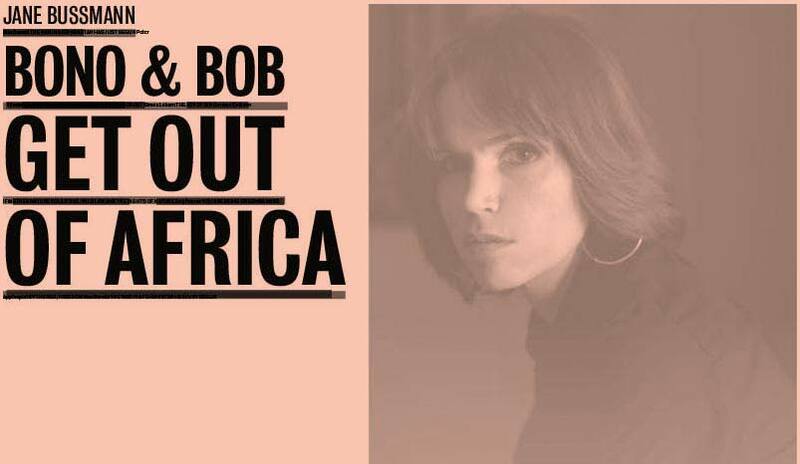 Bono & Bob – Get Out of Africa features award-winning British comedy writer, journalist and author, Jane Bussmann. Jane claims that “mainstream media is burnt out by “Bono and Geldof’s Poverty Industry”, which deliberately painted Africa as depressing for two decades to line its own pockets.” And as far as I can see, this is the point of the Festival – to throw ideas out there for you to consider, poke you out of your comfort zone and challenge what you thought you knew to be true. All in an hour-long presentation. Sounds good to me! There are also some delicately titled panel discussions: All Australians are Racists; Children are Not Inncoent; Abolish Private Schools; All Women Hate Each Other. And the closing event of the Festival sees the panel of experts solving all of the world’s problems in an hour. Technically, that particular show goes for 1 hour and 15 minutes, but I’m sure that doesn’t sound as cool in the title. If you’d like to find out more about the Festival of Dangerous Ideas, you can check out the Sydney Opera House website here. They’re also on Twitter and Facebook, so you can join in the fun from wherever you are. I can live with any of the arguments proposed – just relieved that biscuits are bad did not make it onto the list. Ha ha ha, so much fun!